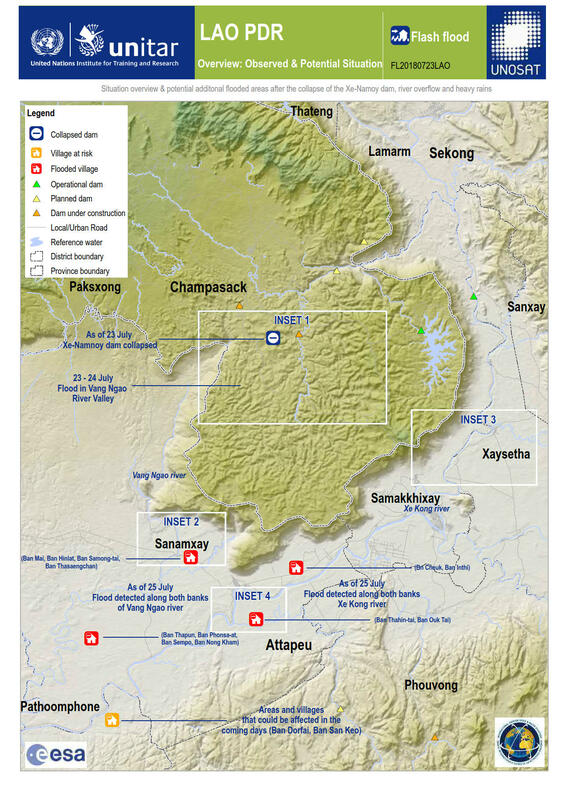 Situation overview & potential additonal flooded areas after the collapse of the Xe-Namoy dam, river overflow and heavy rain. The derived product illustrates the evolution of the event upstream and downstream Vang Ngao and Xe Kong rivers. Close-up view insets using Sentinel-1 imagery collected on the 13 and 25 July shows comparison between these dates. This is a preliminary analysis and has not yet been validated in the field. Please send ground feedback to UNITAR - UNOSAT.